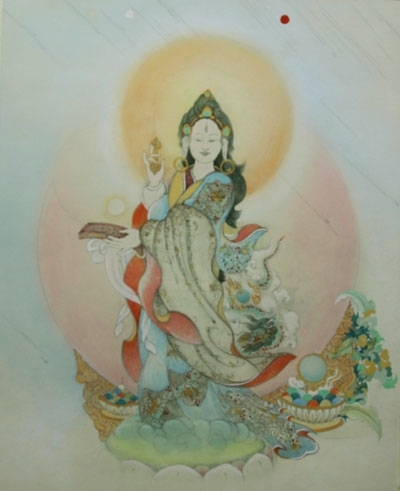 Prajnaparamita, the mother of all the buddhas, reflects the compassionate heart and unstained wisdom of awakened mind. This painting by Cynthia Moku expresses the elegance and profundity of the Buddha's realization as shown through the feminine. Reproduced on high-quality paper suitable for framing.